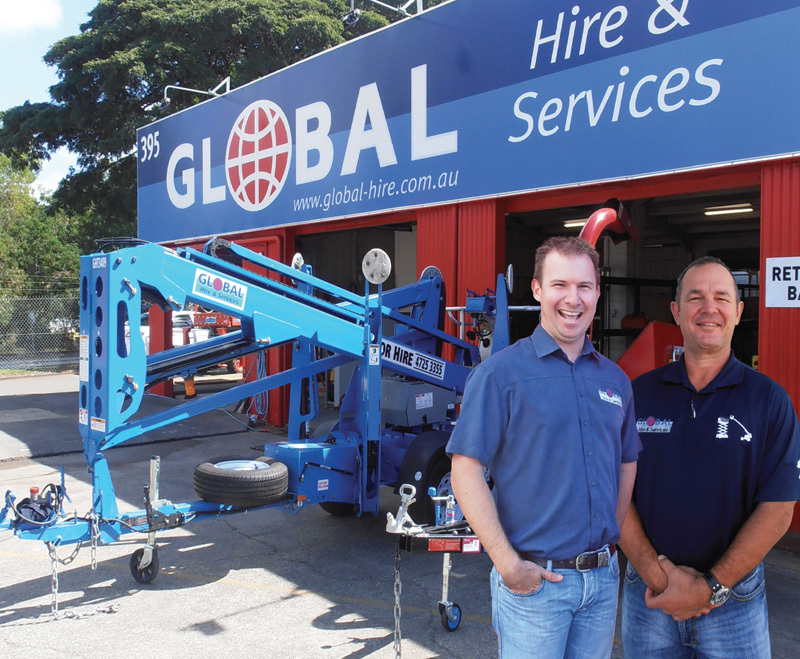 Local owners delivering customer focused support for local businesses is the recipe for success for Darren Morrison and Ryan Creighton, the owners of Global Hire & Services in far north Queensland. In fact, the magic formula has been so successful that the original Townsville branch has been complemented with a new branch in Cairns. Business partners Darren Morrison and Ryan Creighton are well trained and experienced operators in the access hire industry. Having worked for some of the big national companies, the duo went out on their own in January 2010. Both originally from Far North Queensland, Darren Morrison heads up the Townsville operation, while Ryan manages the new Cairns branch. While the Townsville branch is predominantly access equipment the team at Global identified an opportunity in Cairns for a broader audience. As the Cairns access market is smaller, the Global team decided to open a branch incorporating both General Rentals and Access Equipment, a winning combination for this regional centre. The Cairns general hire division of the business is fairly typical of a company supplying both the building trade and weekend DIY customers. If growth and diversification are worthwhile business objectives, then Global Hire & Services can be justifiably proud of their achievements to date. And the future is looking very promising too.